Air pollution is the leading environmental risk factor for disease and premature death in the world. This is mainly due to exposure to urban air particle matter (PM), in particular, fine and ultrafine combustion-derived particles (CDP) from traffic-related air pollution. 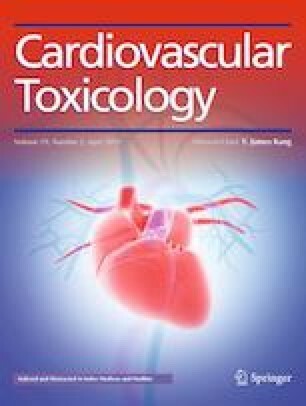 PM and CDP, including particles from diesel exhaust (DEP), and cigarette smoke have been linked to various cardiovascular diseases (CVDs) including atherosclerosis, but the underlying cellular mechanisms remain unclear. Moreover, CDP typically consist of carbon cores with a complex mixture of organic chemicals such as polycyclic aromatic hydrocarbons (PAHs) adhered. The relative contribution of the carbon core and adhered soluble components to cardiovascular effects of CDP is still a matter of discussion. In the present review, we summarize evidence showing that CDP affects intracellular calcium regulation, and argue that CDP-induced impairment of normal calcium control may be a critical cellular event through which CDP exposure contributes to development or exacerbation of cardiovascular disease. Furthermore, we highlight in vitro research suggesting that adhered organic chemicals such as PAHs may be key drivers of these responses. CDP, extractable organic material from CDP (CDP-EOM), and PAHs may increase intracellular calcium levels by interacting with calcium channels like transient receptor potential (TRP) channels, and receptors such as G protein-coupled receptors (GPCR; e.g., beta-adrenergic receptors [βAR] and protease-activated receptor 2 [PAR-2]) and the aryl hydrocarbon receptor (AhR). Clarifying a possible role of calcium signaling and mechanisms involved may increase our understanding of how air pollution contributes to CVD. JAH and BCB drafted the first version of the manuscript and wrote the final version in collaboration with ELF, DLG, and JØ. All authors read, commented, and approved the final manuscript. The work was supported by the Research Council of Norway, through the Environmental Exposures and Health Outcomes- and Better Health programs (Grants No. 228143 and 260381).